The controversy over “Silent Sam,” the Confederate monument on UNC’s Chapel Hill campus, has been raging for decades. But it appears to be approaching a critical point this year as students, faculty, staff and community members push for removal of the statue in the wake of deadly white supremacist violence at the University of Virginia. At a rally on campus Tuesday and a UNC Board of Trustees meeting Thursday, those who oppose the statue again called for its removal and decried the recently revealed UNC Police operation that infiltrated the protest movement using an undercover officer. 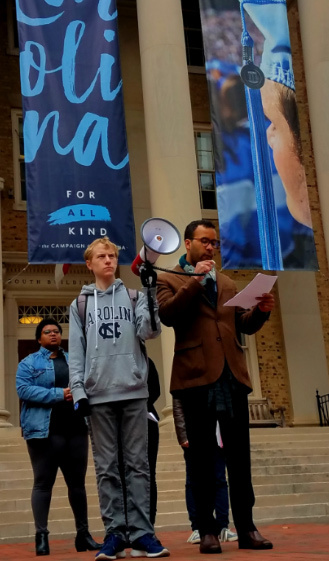 UNC History Professor William Sturkey spoke at a rally on campus Tuesday, saying the undercover operation undercut the central values of the university. Sturkey said the revelation of the police operation is part of a much larger problem on campus that seems to be getting worse. 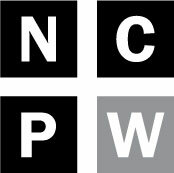 “This is just one component of a current campus environment where police lie, campus administrators dodge questions and refuse to directly engage students with straight answers, politicians and administrators issue politically-based statements that only serve to mislead and divide and various boards who govern our campus remove institutions and programs for political reasons,” Sturkey said. With campus administrators and UNC system officials apparently unwilling to provide strong, principled leadership, Sturkey said, students have moved to fill that void. One such student is Mya Robertson, a Public Health graduate student who was one of many to speak regarding Silent Sam at a public comment session before UNC’s Board of Trustees Wednesday morning. Heather Ahn-Redding, who has been active in the movement to remove Silent Sam, unfurled a Confederate flag before the board members Wednesday. 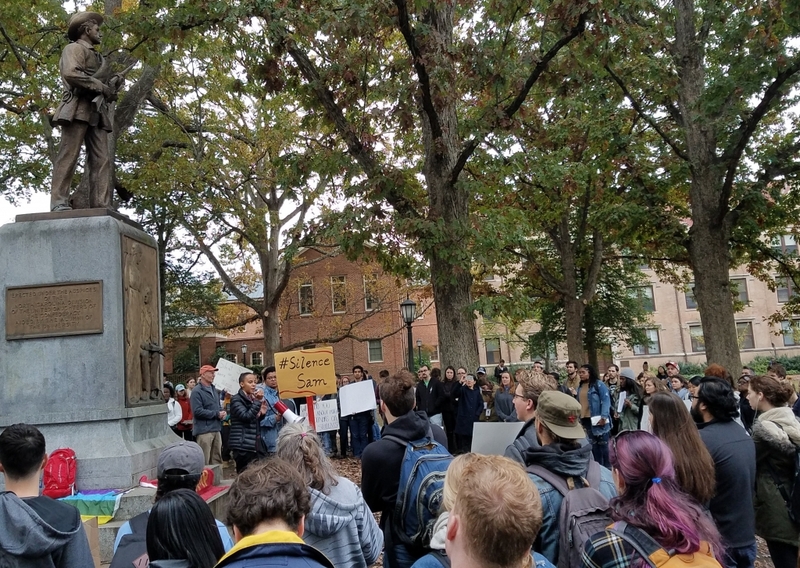 Seeing visible discomfort, Redding said that was appropriate – as is the discomfort felt by people of color when confronted with Silent Sam on campus. 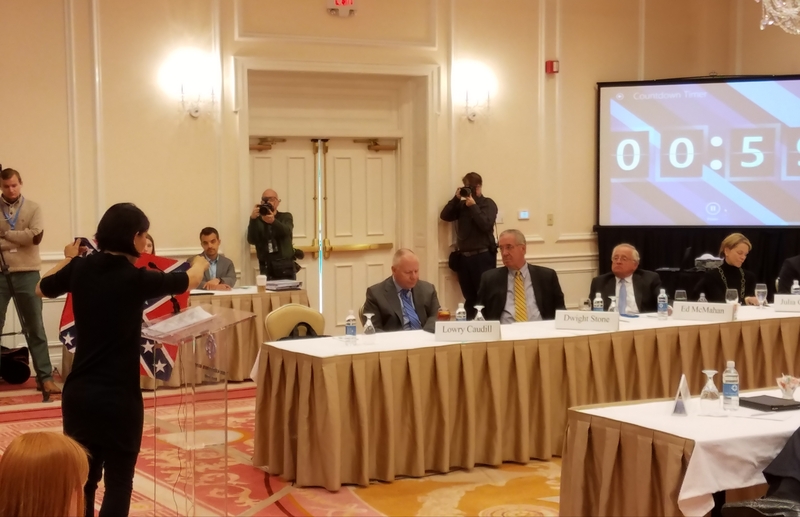 “In today’s climate, where white supremacists don suits rather than hoods and march proudly in our communities, you cannot afford to yield to political or financial pressure in your roles at this institution,” Redding said. “The stakes are too high,” she said. A few alumni of the university defended Silent Sam during the session. But an overwhelming number of speakers – students, faculty, staff and alumni – condemned the statue, the UNC Police undercover operation and the unwillingness of the Board of Trustees and UNC Chancellor Carol Folt to act. “The courage to stand by our most fundamental values will be remembered forever,” UNC Economics Professor Buck Goldstein told the board. “Your hands are tied only if you tie them,” he said. Over the summer Gov. Roy Cooper urged the university to move the statue. Though a 2015 law prohibits the movement of “objects of remembrance,” Cooper maintains that safety concerns would allow for the removal. But Folt and the university’s Board of Trustees have declined to do so, citing the law. The UNC Board of Governors and the GOP leadership of the North Carolina General Assembly have warned the university and its administration against taking action on the statue and condemned administrators for even talking to Cooper, a Democrat, about the issue. Folt said she urged the Board of Trustees to hear the growing concern at Wednesday’s meeting and assured those who spoke that their words did not fall on deaf ears.